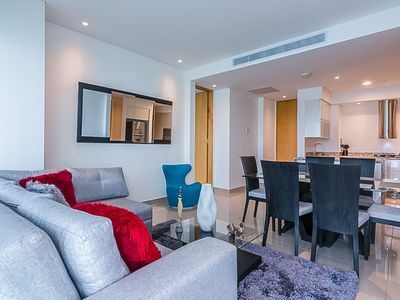 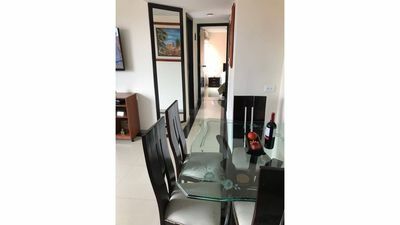 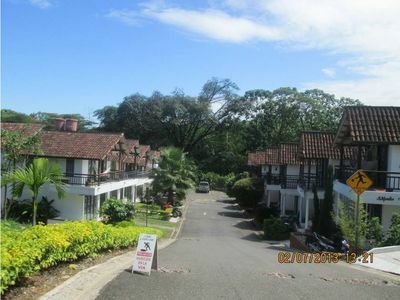 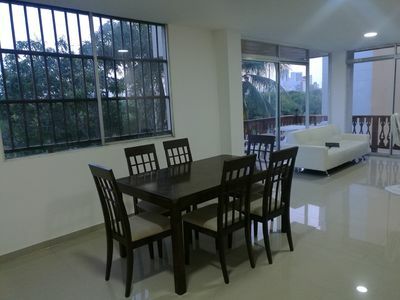 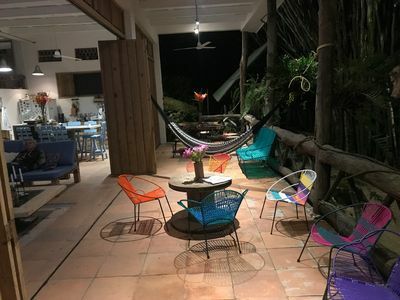 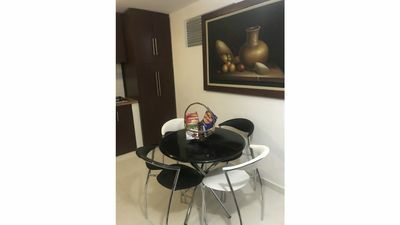 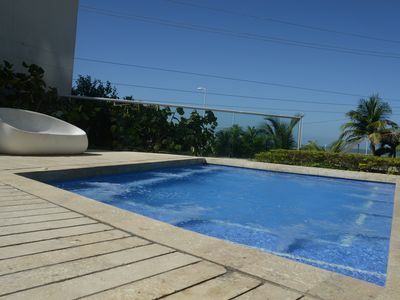 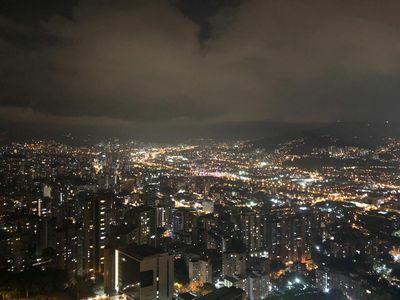 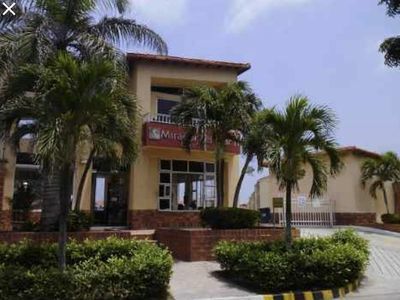 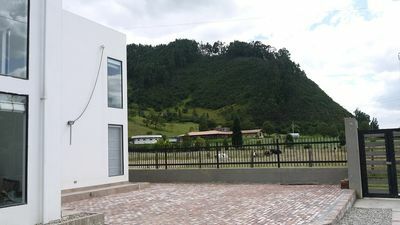 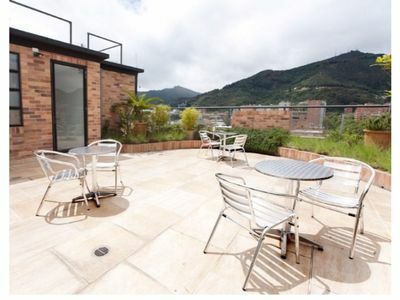 The apartment has a great location at Sabaneta, close to Itagui Metro station and buses to go to Medellín (Poblado park 40 minutes by bus 20 minutes by car). 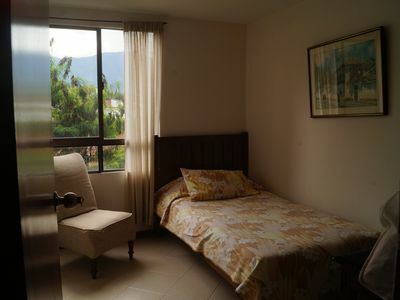 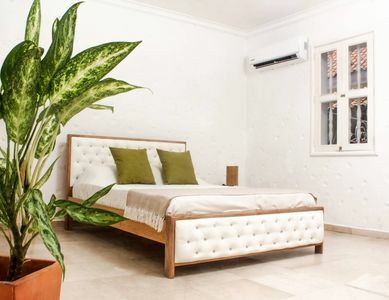 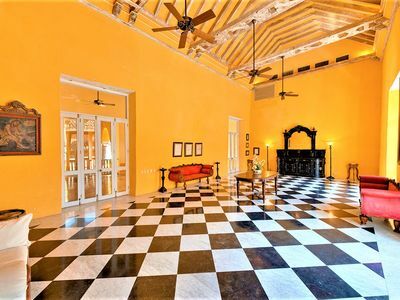 It has a main room with: a double bed, private bathroom and TV. 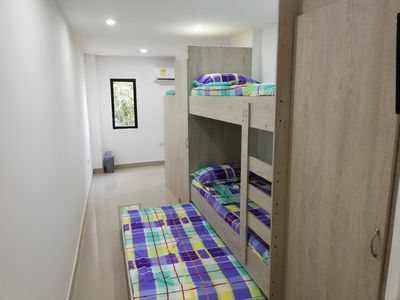 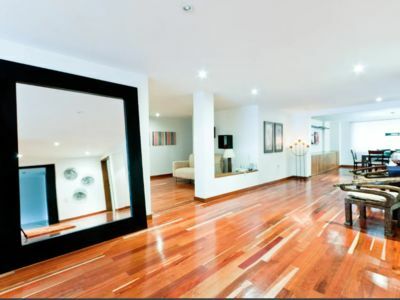 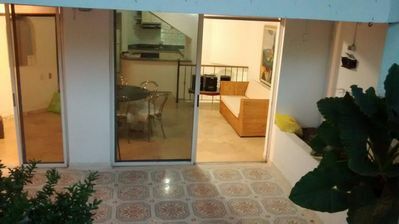 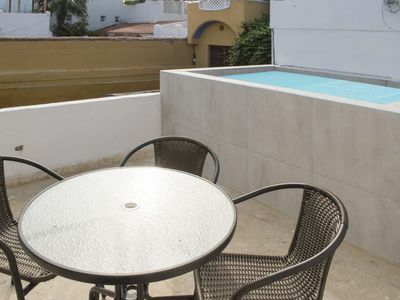 Two rooms with single beds, a second bathroom, living room, dining table, balcony, kitchen and washer machine. 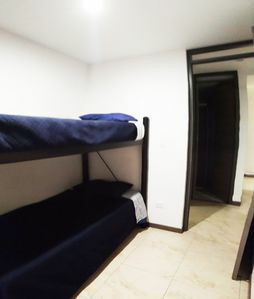 Also includes internet wifi and a parking place. 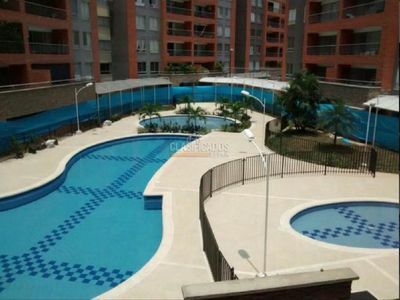 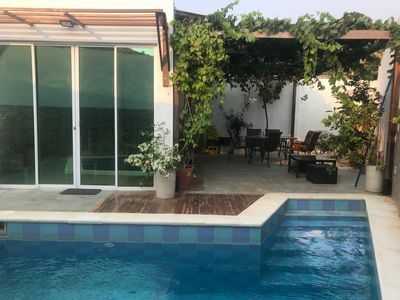 The unit has 24 hours doorman and pool.